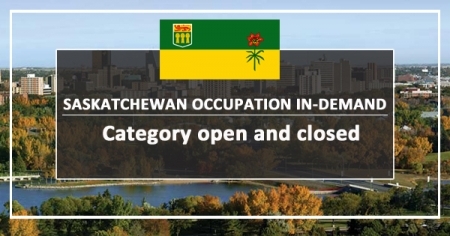 The Occupations In-Demand sub-category of Saskatchewan was opened only for a brief period. It was seeking 400 applicants and closed within a few hours. This was quite similar to the previous opening held on Aug. 2nd, 2017, when it reached the intake limit of 1,200 applications quickly. This sub-category has the working model on the basis of the timing of arrival. This signifies that the 400 individuals who can apply quickly are eligible to submit their applications. Such limited a schedule requires the candidates to have all the necessary provincial and federal forms and essential documents handy. The guidelines make a clarification regarding the applications submitted. Any documents accompanying the applications which are missing or cannot be translated are treated as incomplete and the application is closed. The brief opening of this SINP’s sub-category sends the message regarding the need to have good preparation and keep the documents in order. The well prepared Candidates, who also have the correct documentation and through knowledge of the application process, clearly succeed when short PNP streams are opened. Furthermore, Persons interested to apply here do not need a job offer to submit the application. This sub-category is also a base program, and it is not in alignment with the selection system of federal Express Entry. In case the candidate succeeds in getting the nomination in this sub-category, it leads to issuing of a Provincial Nomination Certificate to the applicant. After finally obtaining the Provincial Nomination Certificate, the applicant as well as the family members, are eligible to apply to IRCC and seek the PR status.